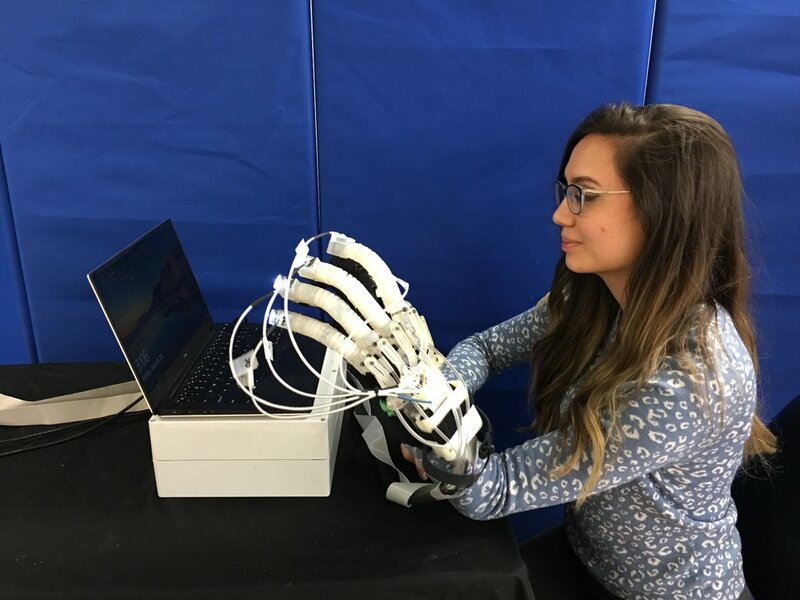 The University of Texas at Arlington Research Institute is making flexible soft robotic gloves that will aid in rehabilitating stroke patients through virtual reality gaming. Combining this glove with the virtual reality gaming to be developed by Neuro Rehab VR will enable stroke patients to engage in rehabilitation activities for regaining their hand function. The team was recently awarded a $224,893 National Science Foundation grant to use robotic-assisted, virtual reality-based therapy for stroke patients. The grant is part of the NSF’s Small Business Technology Transfer Fund and is aimed at helping technology startups commercialize products. Successful CIOs, CTOs & executives from Forbes Technology Council offer firsthand insights on tech & business. Many companies are integrating or planning to integrate VR technology into their business plans. 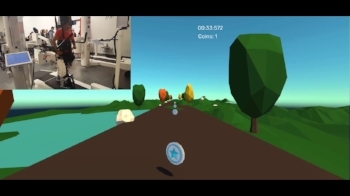 Neuro Rehab VR is listed as the top Virtual Reality use for Physical Therapy. Neuro Rehab VR Co-Founder, CTO, and President, Veena Somareddy, was recently featured on the front cover of Dallas Innovates. Check out the conversation Veena had with Dallas Innovates as she dives into her inspirations, failures, breakthrough moments, and everything Neuro Rehab VR. Rising Tide Initiative is a leader and supporter of new ideas, ventures, and creations that ultimately better the lives of those around us. We collaborate with individuals and organizations to change the world by increasing social and economic prosperity within our local communities. The FORT is a project created by the Rising Tide Initiative. Through a collaboration with WeWork, we are providing ten entrepreneurs a free place to build their business for six months. It's more than a desk; it's a community. We are thrilled to announce that we are officially in the running to become the 6th Annual Startup of the Year champion! As one of the Top 100 Semifinalists, we will showcase & compete at Innovate Celebrate in Boston from Oct 15-17. Startup of the Year is a global competition and network established to elevate and support startup founders. Join us! We have been selected as one of eight semi-finalists for the 2018 KERNEL pitch competition who will compete for a spot in this year's top three. 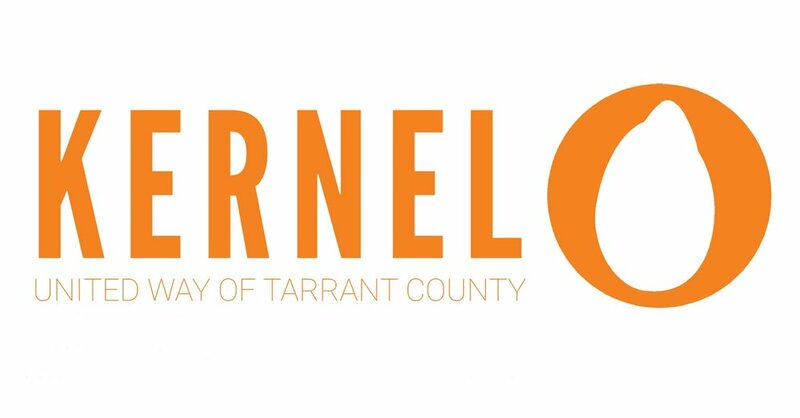 KERNEL fosters social innovation and provides resources and seed funding for organizations and programs that comprise a combination of social impact, a sustainable revenue model, and an innovative approach to solving the social challenges in our community. 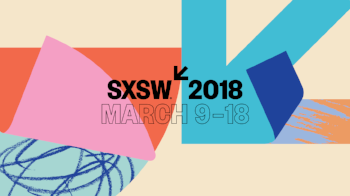 The WXR Fund partners with the Augmented World Expo (AWE) to host the 2nd WXR Pitch Showcase and launch the 2nd WXR Cohort featuring Top XR Female Founders. 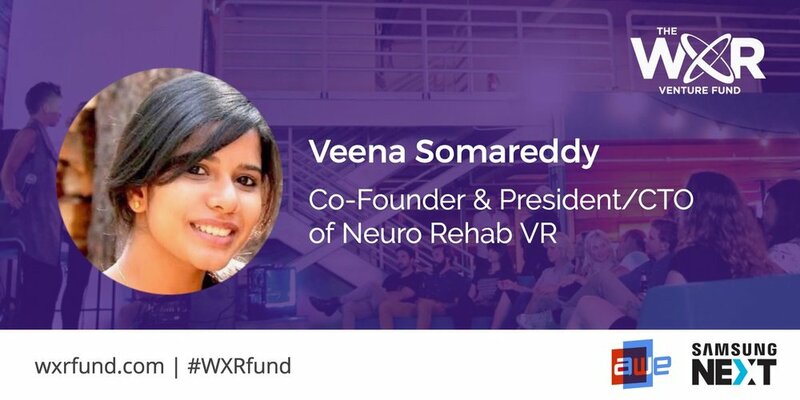 Neuro Rehab VR's Veena Somareddy joins other top XR Founders to pitch their startups to a panel of industry leaders and investors. 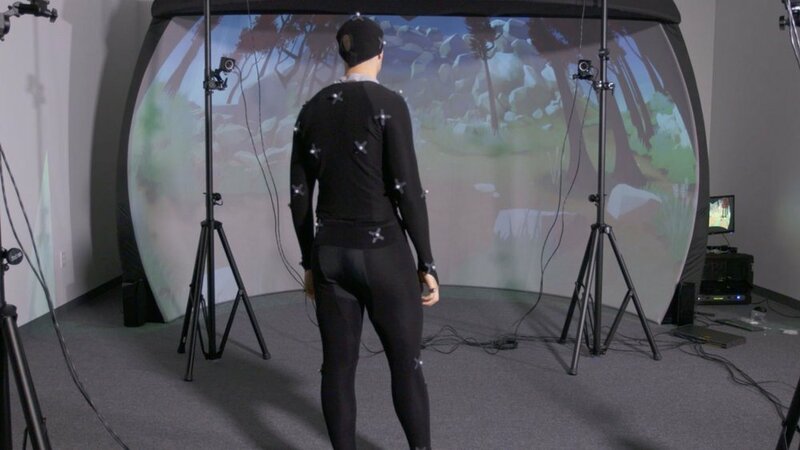 The Neurological Rehabilitation VR project at the Neurological Recovery Center in Fort Worth, TX, is using a customized GeoDome Panorama with their OptiTrack Motion Tracking system to create virtual reality games for upper and lower body stroke rehabilitation. “The GeoDome’s height and field of view lets us to display the patient’s avatar in true scale to their body on the screen, and he or she can interact with the virtual objects like they would in real life. The curved display and resolution of the screen helps to immerse the patients in the task/game they are performing and therefore enjoy their therapy sessions,” said Veena Somareddy. The UT Dallas Big Idea Competition, held by the Institute for Innovation and Entrepreneurship, gives participants the opportunity to develop and present business ideas while competing for cash and scholarship prizes. Neuro Rehab VR wins the $15,000 first-place prize and received the $2,500 Diversity and Inclusion Award. A year of transformation in the innovation and entrepreneurship initiatives at The University of Texas at Dallas culminated recently as a team led by a doctoral student from the School of Arts, Technology, and Emerging Communication (ATEC) took the top prize at the finals of the 2017 Big Idea Competition. Neuro Rehab VR, which develops virtual reality games to help patients recover from strokes, neurodegenerative diseases or traumatic brain injuries, won the competition’s $15,000 first-place prize and received the $2,500 Diversity and Inclusion Award. 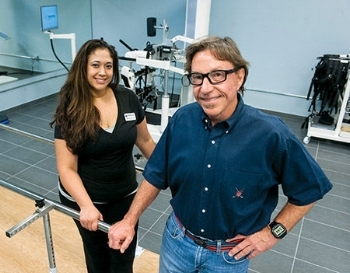 Bruce Conti, a commercial real estate developer and president of Conti Warehouses in Fort Worth, is determined that his son and other North Texans who have suffered brain and spinal cord injuries will continue to progress “in the right direction.” He and his wife have established the Neurological Recovery Center equipped with state-of-the-art robotic therapy equipment.